The human skeletal system is the entire framework of bones that provide structure and form to the human body and protection to the vital organs. There are about 270 bones in a human body at the time of birth. As one grows up, the number decreases to 206. This happens because some bones fuse together to form larger skeletal structures. The bone mass in the human body is at its most fragile during birth and the density is maximum at around the age of thirty. After that, the bone mass starts to decline till old age! Anatomically, the human skeletal system has been divided into two parts – the axial skeleton and the appendicular skeleton. The axial skeletal is the upper part of the body comprising of the vertebral column, the skull and the rib cage. The appendicular skeleton is not a connected skeletal system. 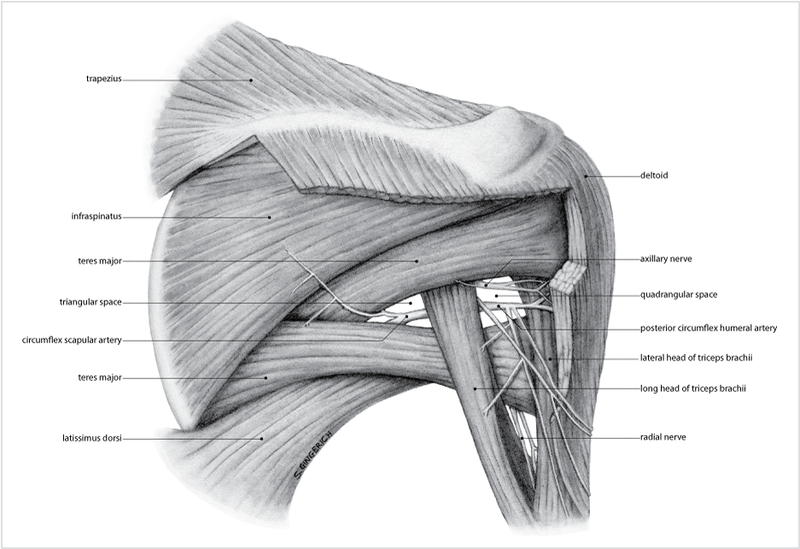 It comprises of the pelvic girdles and lower limbs or legs, pectoral girdles and upper limbs or arms. 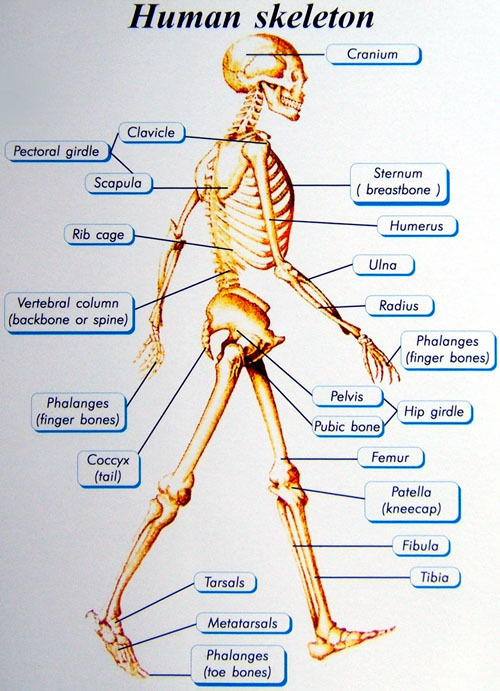 The human skeletal system serves several major functions. 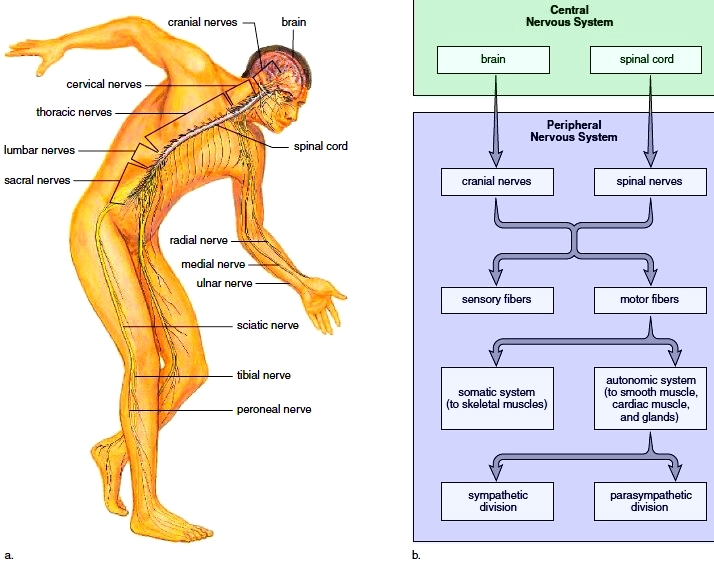 It offers form and structure to the human body. 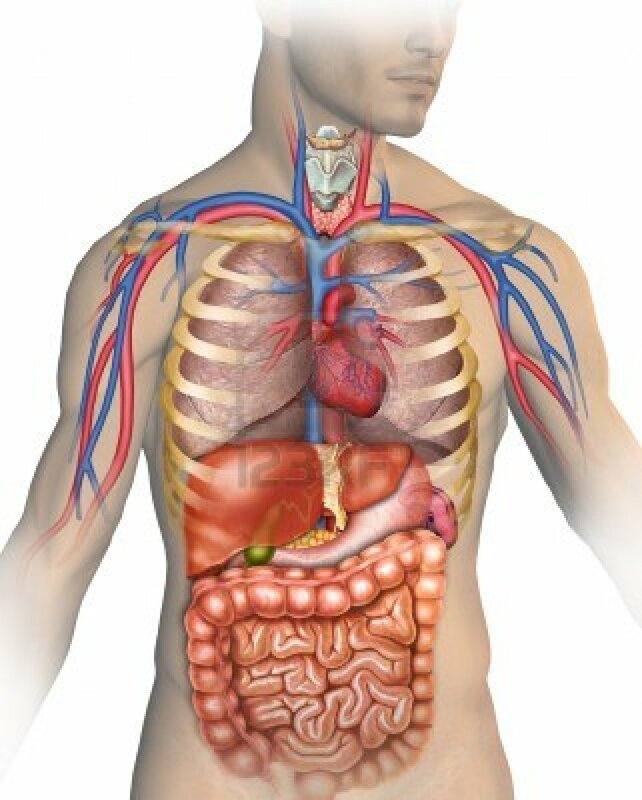 It provides support to all vital organs and vital systems. The skeletal system offers protection, is tasked with generation of blood cells, stores ions and regulates the endocrine system. The human skeletal system is not exactly the same in men and women. Men have slightly larger and stronger skeletal systems than women in the same race. However, women of a certain race or genetic origin may have larger and stronger skeletal systems than men of another race or genetic origin. Also, women have different shapes of the pelvis than men which is primarily to facilitate the process of child birth. The axial skeleton which forms the upper part of the body, excluding the arms and pectoral girdles, comprise of 80 bones. There are 32 to 34 bones in the vertebral column, 24 ribs which are referred to as 12 pairs, 22 bones in the skull along with 7 associated bones. The axial skeleton is the most important part of the skeletal system as without it the human body will not survive. One can survive without the appendicular skeleton. The appendicular skeleton has 126 bones. They are the humerus, radius, ulna, carpals, metacarpals and phalanges, all of which are in the arms. 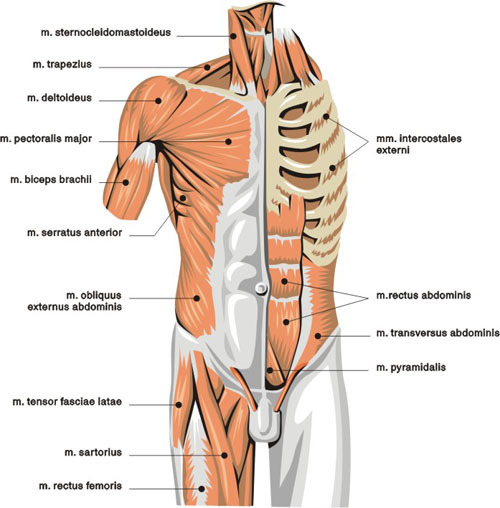 The ilium, sacrum, pubis and ischium are in the abdominal region. The femur, patella, tibia, fibula, tarsals, metatarsals and phalanges are in the legs. The appendicular skeleton facilitates movement, digestion, reproduction and excretion. It also protects these vital systems and organs. The skeletal system in humans holds several of the organs at its place and ensures they are protected and can function as they should. The skeletal system is responsible for locomotion, balance and movements of various parts of the body while remaining still at the same place, haematopoiesis which is production of blood cells and for storing calcium, bone marrow, iron and other materials. The human skeletal system is usually not very vulnerable to diseases unless it is damaged due to physical injury, internal infections but it is susceptible to osteoporosis, deformities at the time of birth or due to improper growth of one or more bones and lack of nutrients, essentially minerals.